The cranes are still filtering but a good part of the local flock is here. A flock of 76 has been reported out East End Road, and 18 pairs have returned to their territories. Two of the three pairs that nest in Beluga Slough near the boardwalk were sighted today. One pair was mating next to the boardwalk. Please call Kachemak Crane Watch to report the return of your nesting pair. 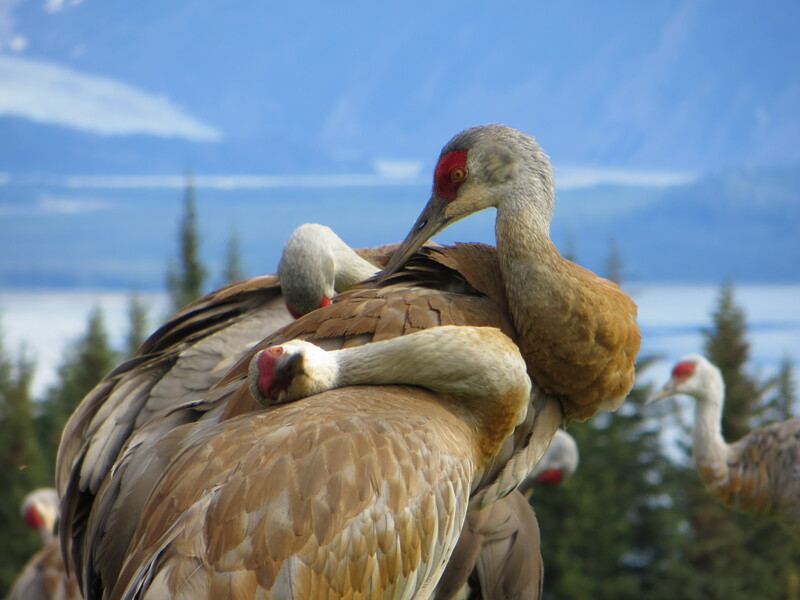 Kachemak Crane Watch is pleased to announce the launching of its new, updated website. We still have a couple of buttons to activate, but other than that, the new version is up and running. 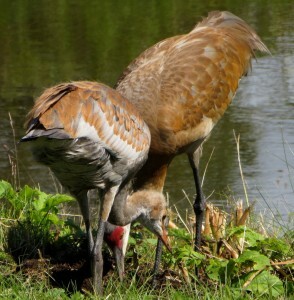 You will find lots of crane photos in our photo gallery and a link to our Youtube playlist of sandhilll crane videos. Please share with your friends and families. Who knows you just might turn someone into a craniac! The link is the same: www.cranewatch.org Many thanks to Jason Sodergren for his technical expertise in getting this website set up and online. Thanks also to Michelle Michaud for her help in transferring and updating information from the old website. A new feature of the website is the blog which will allow us to post updates more frequently. 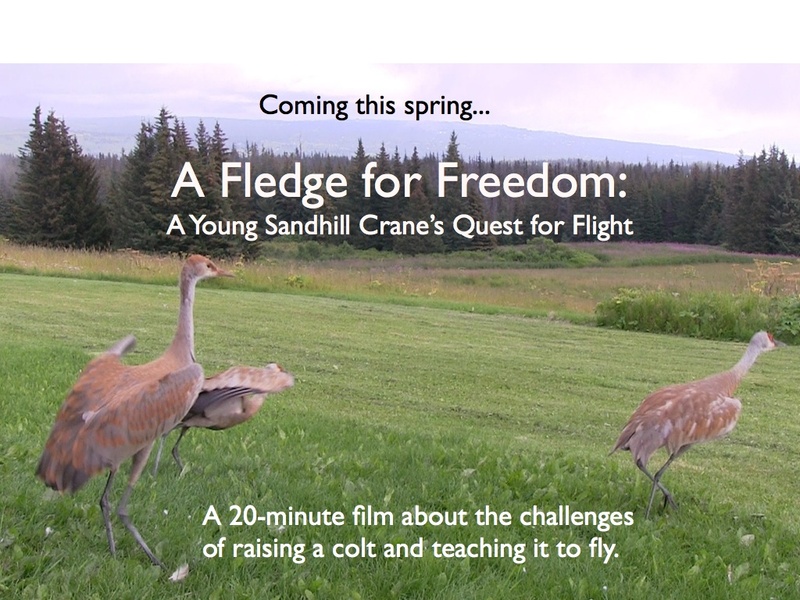 You can visit the website and subscribe to the blog if you would like to get updates about our cranes. 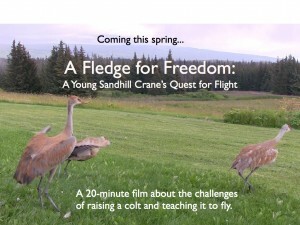 Reminder for Shorebird Festival crane presentations: Friday at 4 pm – 5 pm “A Fledge for Freedom” will be shown, and on Sunday at 1 pm, “Raising Kid Colt” will be featured. Both films will be accompanied by a slide program. If you cannot make these showings, check with Island and Ocean Visitor Center to find out when these films will be shown during the summer. Keep the reports coming in, and hopefully, I will see you at Shorebird Festival! This entry was posted in Uncategorized and tagged Fledge, pairs, Raising, reports, subscribe, website on April 28, 2015 by Nina Faust.